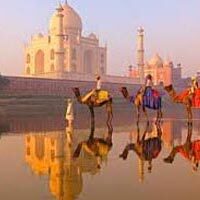 Taj Mahal :- Taj Mahal is ne of the Seven Wonders of the World built by Shah Jahan for his beloved wife Mamtaz Mahal. 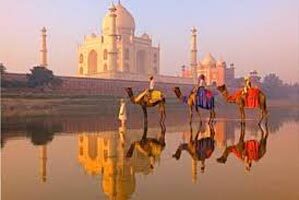 Taj displays its different moods throughout the day through its varied shades, pinkish in the morning, milky white in the evening, golden when the moon shines. 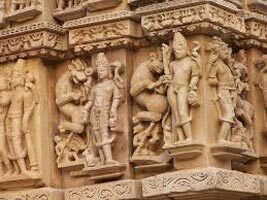 The tomb represents the house of the queen paradise and it is based on the palace garden of the great nobles on the both sides of river Yamuna in Agra. 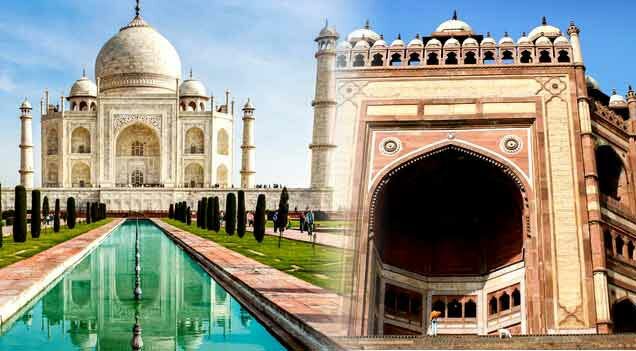 The Taj made up with white marble is a great attraction of India and is considered as a symbol of love.